Size 58cm; Weight out of the box just under 16.9lbs! The Specialized “Aero is Everything” concept began over seven years ago with the original Venge. It was never a hollow philosophy— Specialized knew it was a way to make pros, amateur racers, and everyone in between faster. Fast-forward to the present, and this ideology is epitomized in the new Venge Pro. And good news, it's holding its throne as the fastest road bike on the planet. 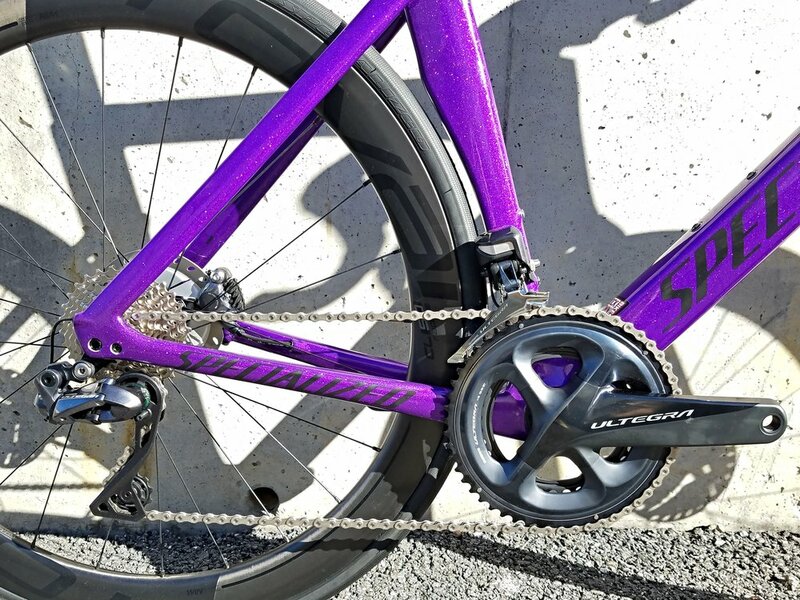 Not only is it eight seconds faster than the ViAS, but Specialized kept all of the Rider-First Engineered™ traits you know and love, while also cutting 460 grams from the module weight. 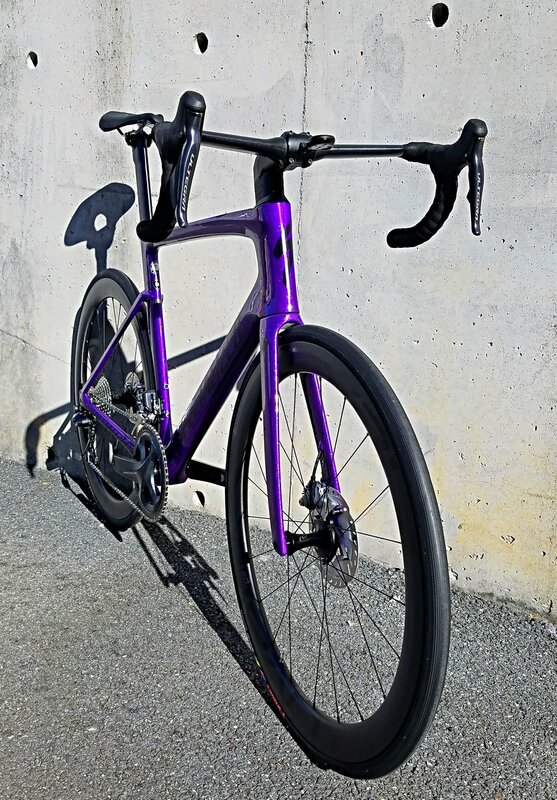 The Rider-First Engineered™, FACT 11r frame not only makes the Venge the most aerodynamic road bike Specialized has ever created, but it's also lightweight and stiff in all the right places. Every tube shape, trailing edge, and design cue was influenced by hours of testing in our Win Tunnel, CFD, 3D-printed prototypes, and real-world rider feedback. Ultimately, this resulted in the fastest road bike we’ve ever made. The modular cockpit is stiffer and mores slippery in the wind, and is easy to set up for personal fit!